In the wake of the tragic Parkland shooting, both political parties are committed to improving school security in New Jersey. The state Legislature recently added to a current bipartisan bill to add $500 million in grants to help schools boost their facilities security. The bond act would require final approval by New Jersey voters in November. “Creating comprehensive school security programs is one of the most critical ways we can safeguard our students, our teachers, and our communities from outside threats,” said Sen. Tony Bucco (R-Morris). “Nothing is more important than the safety of our schoolchildren,” said Senate President Steve Sweeney (D-Gloucester). The legislation, Senate Bill No. 2293, was initially drafted to expand New Jersey’s county vocational technical schools. 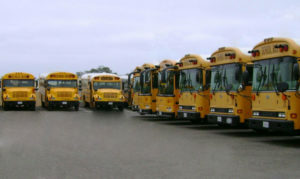 It authorized the issuance of $500 million in State general obligation bonds, with the proceeds from the bonds funding grants to county vocational school districts and county colleges to construct and equip education facilities in order to prepare students for high demand technical education programs. Earlier this month, the Senate amended it to include an additional $500 million in funding for school facilities security. It also renamed the bill the “Securing Our Children’s Future Bond Act.” The additional grant monies will be available for Kindergarten through grade 12 school facility security projects, resulting in an aggregate principal amount of bonds to be issued under the bill of $1 billion. Senate Bill No. 2293directs the state Commissioner of Education to develop review, approval, and eligibility procedures for the administration of school facility security grants. At this stage, there is contributory requirement for schools. The Senate overwhelmingly approved the Securing Our Children’s Future Bond Act on April 12, 2018. The bill now heads to the General Assembly. If the proposal is approved and signed by Gov. Phil Murphy, a referendum will be placed on the ballot for voter approval in November. While $1 billion would be a hefty addition to the state’s debt, New Jersey voters authorized $125 millionin new borrowing to fund library capital projects last year. In 2012, voters also approved the sale of $750 million in new debt to help fund improvements at state colleges and universities. We will continue to track the status of the school security legislation and post updates as they become available. For more information about the Securing Our Children’s Future Bond Actor the legal issues involved, we encourage you to contact a member of Scarinci Hollenbeck’s Education Law Group.